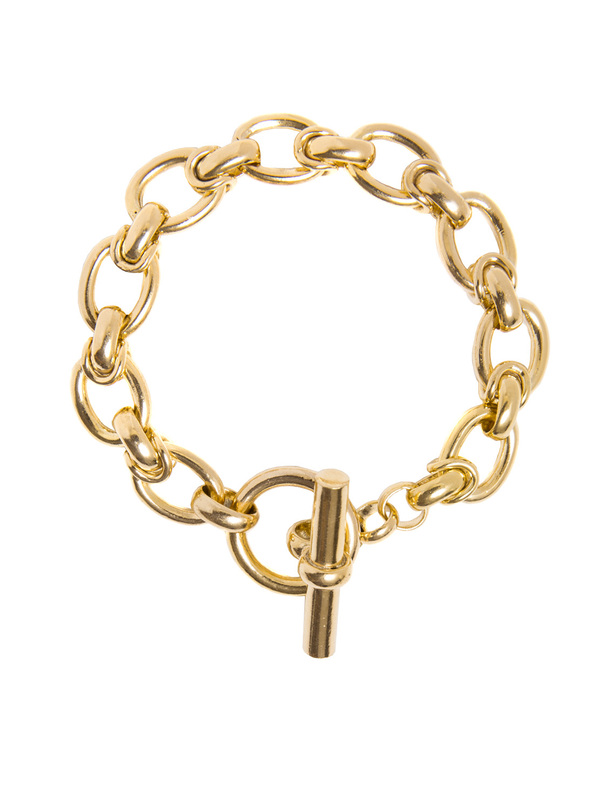 Add a bit of glamour to your day with this eye catching 23.5 karat gold plated oval linked bracelet. Chunky chains are bang on trend and look fab worn solo or layered together with other bangles and bracelets. This piece weighs 40 grams and measures 20cm in length and 1cm in width.